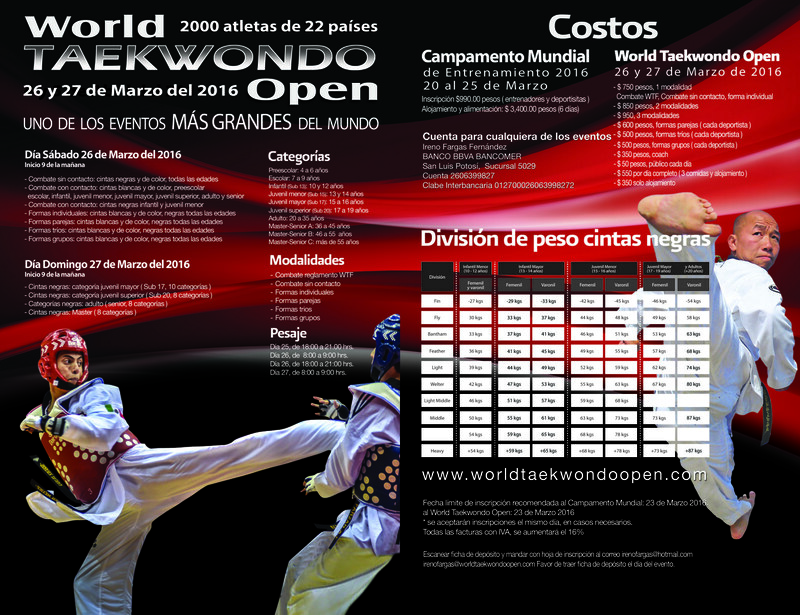 México - 2016/01/15 - The massive World Taekwondo Open and the classic World Taekwondo Training Camp in the High Performance Center La Loma, San Luis Potosi, Mexico now have training dates. According to the statistics of the last four years, an estimated participation of 2,000 athletes from 22 countries, with the most attendance from: Mexico, USA, Canada, Panama, Colombia and Puerto Rico as well as from other Pan American countries and Europe. In addition, many states of Mexico will be present as they prepare for the National Championships. The training camp will be developed from the methodological point of view for coaches, and on competitive level for athletes. 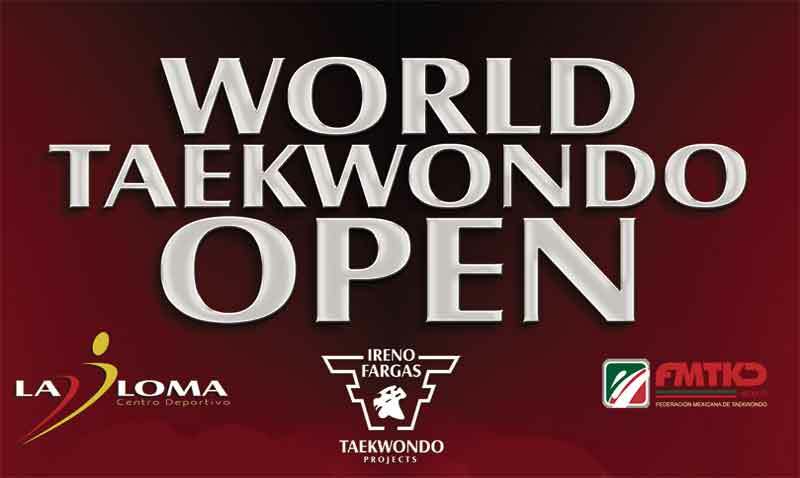 The day will be based on three daily training sessions, divided into sparring groups and poomsae (youth, cadets, juniors and adults) in both basic training and high performance training, with a special emphasis on the new scoring system and electronic body protectors, from a tactical point of view. There will also be multisport activities for all participants and companions. Both events are scheduled for all ages and belts. Day 1: Specific physical training for electronic protectors and sparring session. Day 2: Specific technical training for electronic protectors and sparring session. Day 3: Specific tactical training for electronic protectors and sparring session. 4th day: Specific training systems for electronic protectors and sparring session. Sparring: without contact for all levels and categories. Sparring: with contact for white belts and colored belts for all categories. 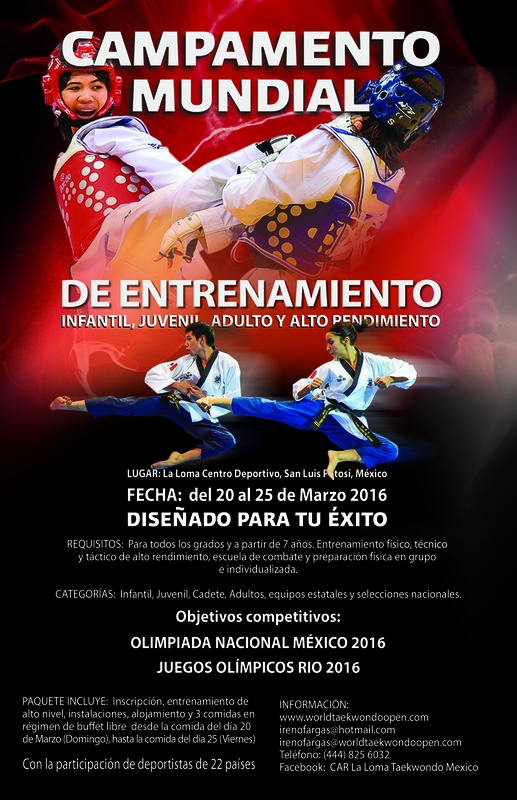 Poomsae: all levels and categories. Sparring: black belt senior category. 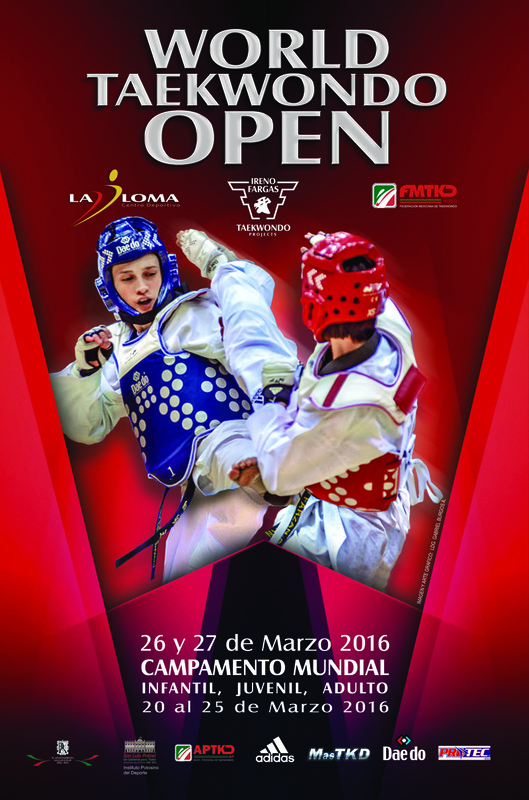 As always MasTKD and High Performance Center La Loma working hand in hand in an event of the highest international level. Telephone: calling from Mexico: (444) 8256032.